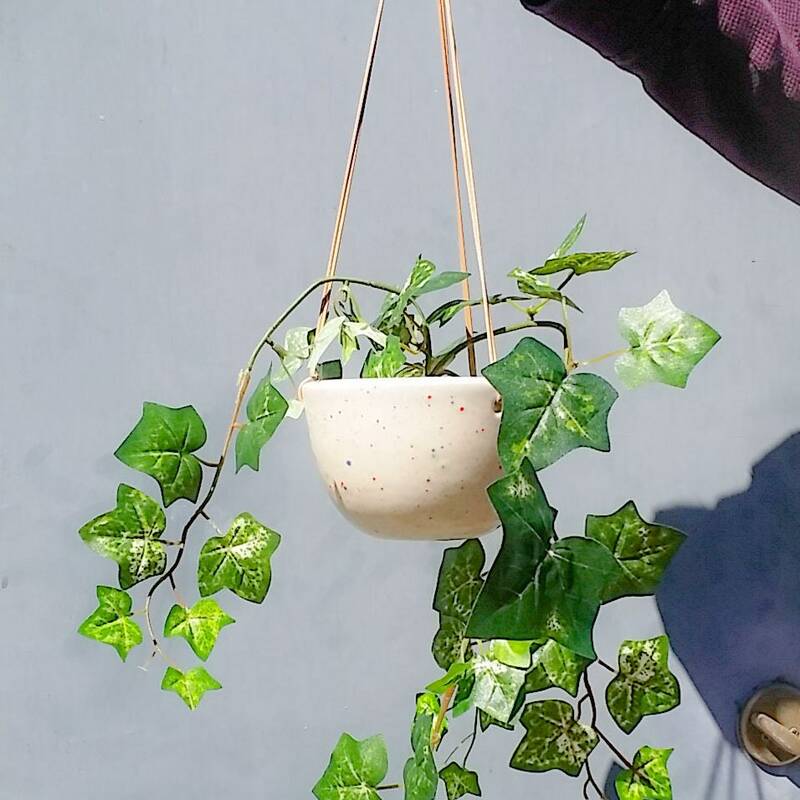 Hanging round planter! 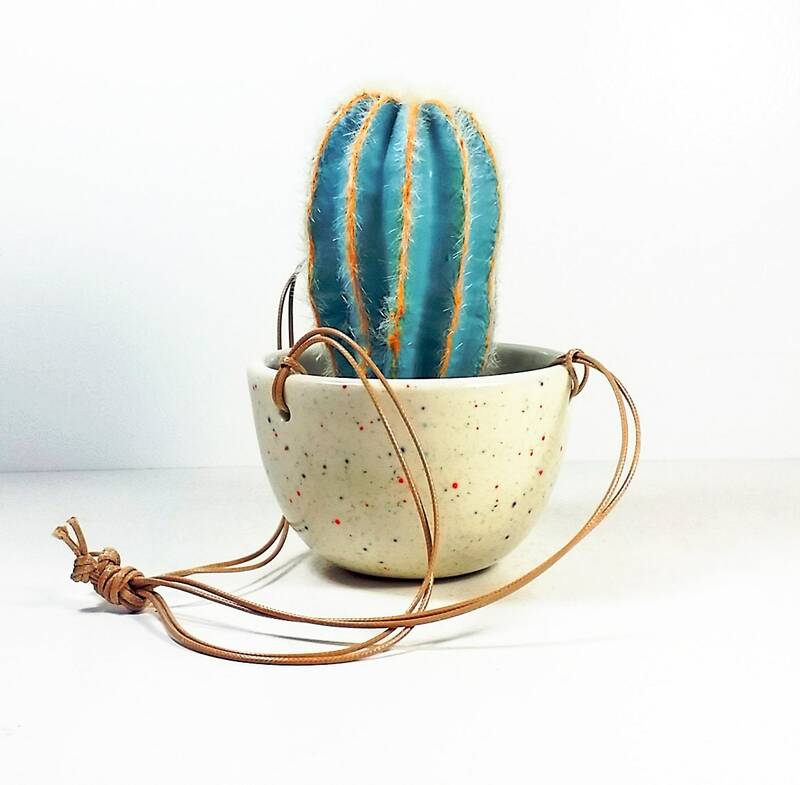 Glazed in our cheery Sweet Tooth glaze which happens to compliment ALL PLANTS :) Even a minimalist can't resist how cute these are. And, it's hanging, so it's not taking up counter or tablespace! And, it comes with the cord pictured here. My hand is in a few pictures - Use that as a size guide - I do not have man-hands (LOL) When in doubt, take a minute to MEASURE IT OUT with a ruler! Measurements are 5 1/4 inches in diameter, 3 1/2 inches in height, and it weighs, empty, 1 pound, 12 ounces. 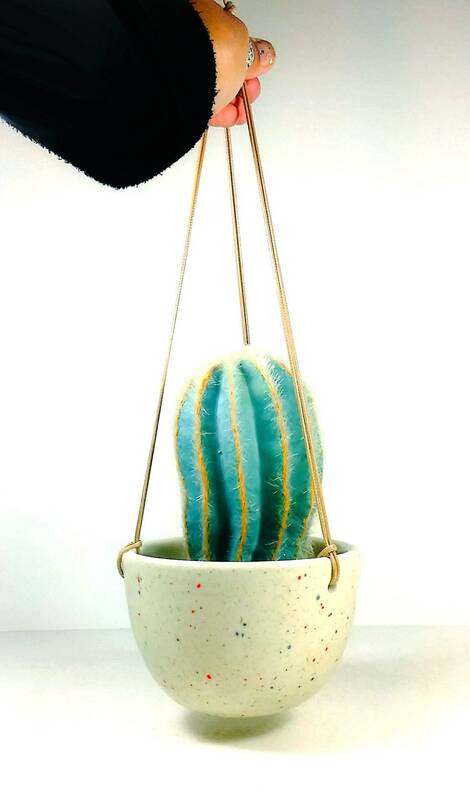 Not a floor planter, not a giant statement planter, but it DOES have presence! The cord as measured with all the knots, from the lip of the pot to the base of the large top knot is 16 inches. This is how much space from that top knot to the lip there is/length of unknotted cord. ► Yes, dishwasher safe! 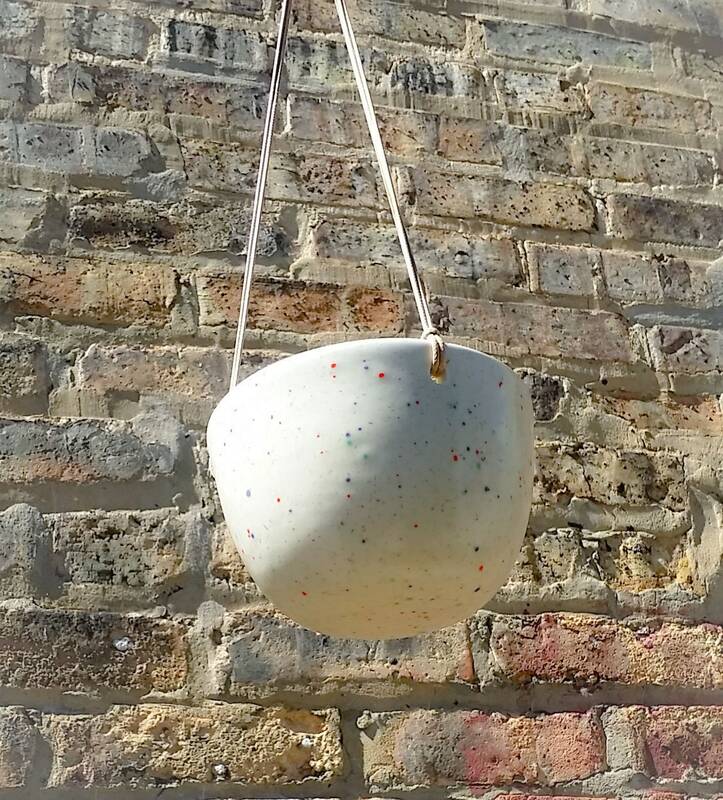 Made by hand in Chicago using porcelain clay, decorated by hand by either a colorful glaze, painting the designs on or painting and carving into the underglaze or our standard which are hand-pulled decal prints. 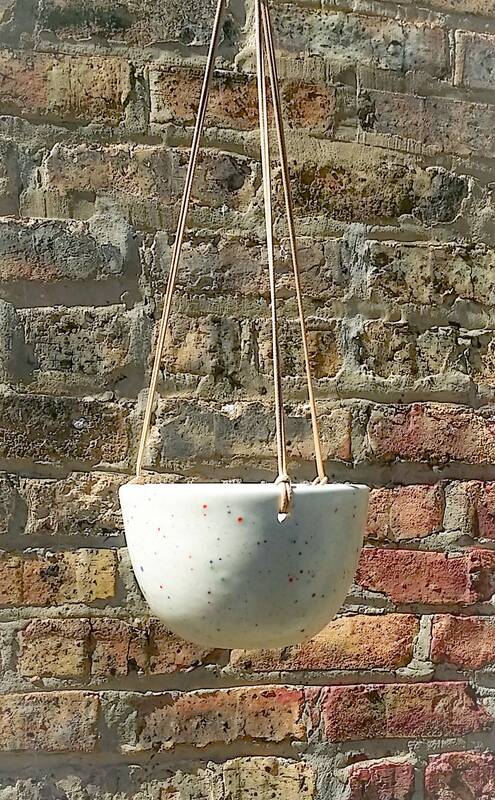 Our screenprinted images are fired into the glaze (making them indelible). Our brand logo is on the inside of each planter so you know who made it and where it hails from.